Celebrating the music and film scores of Bernard Herrmann. • Orson Welles, Alfred Hitchcock, François Truffaut and Martin Scorsese are four giants who would be on most film-lovers list of top ten directors of all time. These four, very different, men had one thing in common; all their landmark films, from Welles’ Citizen Kane, to Hitchcock’s Vertigo, to Scorsese’s Taxi Driver shared the same composer, Bernard Herrmann. Many of the most famous musical moments in film history came from the pen of this exceptional man. • Film is the twentieth century’s own art form and music played a vital part in its development. 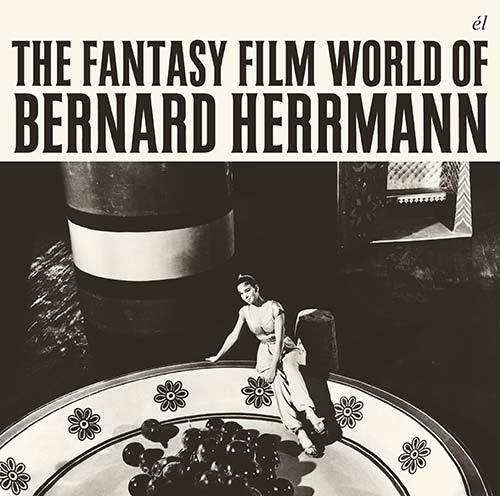 Herrmann’s music, again and again, underscored the emotional impact of key moments in a series of classics; the climax of Citizen Kane, the childhood sleigh Rosebud burning in the incinerator, the funeral orchestral harmonies consigning Kane’s mystery to oblivion, James Stewart hypnotised by fear at the top of a tower in Vertigo, the arrival of an alien in The Day the Earth Stood Still accompanied by a strangely motionless eerie tension. Cary Grant and Eva Marie Saint on the president’s nose at Mt. Rushmore in the gripping climax of North by Northwest, Travis Bickle, the disturbed Vietnam vet, cruising the streets of New York in his yellow Checker cab in Taxi Driver, and, of course, the most imitated music effect ever, the horrific shower scene in Psycho. • The mid-century was the era of the Film Fantasy in Hollywood. The genre called for a composer with the musical literacy to match the films’ wildly imaginative concepts. The impish Bernard Herrmann stepped forward to create the bold scores featured in this anthology, which would push the boundaries of what film music might be. • For The Day the Earth Stood Still, Herrmann essayed a brilliantly unconventional score which anticipated the explorations into the world of electronic sound by Stockhausen and Varese, and even the Beatles; a panorama of sound; a melange of harps and vibraphones, theramins, electronic violins, bass guitars and backwards tapes, offsetting a huge brass section, while for the deeply exotic Seventh Voyage of Sinbad, Herrmann characterised the various creatures with unusual instrument combinations; notably the xylophones in the skeleton duel. • On Journey to the Centre of the Earth, the composer sought to evoke the mood and feeling of inner earth by using only instruments played in low registers including, with great bravura, five organs, one large cathedral and four electronic. The music romantic fantasies The Ghost and Mrs. Muir, Beneath the 12 Mile Reef and Jennie’s Song from Portrait of Jennie are no less impressive; Muir was Herrmann’s personal favourite score, one of the loveliest in all cinema, while Beneath the 12 Mile Reef would capture the swell of the ocean with an expansive nine harps.